Turn email into action! 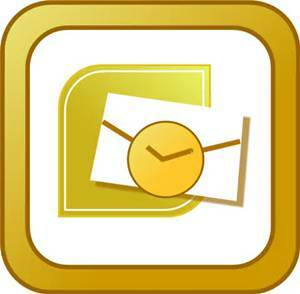 Turn emails into Priority Matrix items without leaving your inbox. Priority Matrix helps you prioritize, focus, and work smarter. 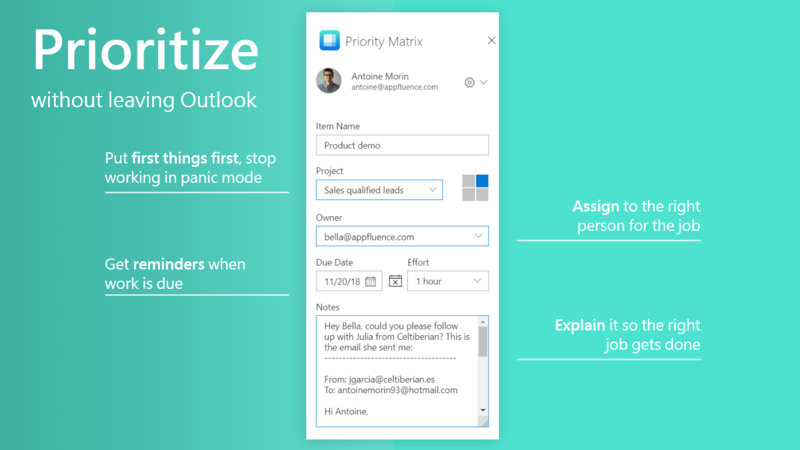 Priority Matrix for Outlook lets you create tasks with just a click while working on Outlook, without having to switch apps. Your newly created data will immediately show up on Priority Matrix. Create tasks, assign to teammates, set due dates and effort levels, all easy and in one place. Install it now for all your team, and start exploring! Note: Your organization might not allow you to individually install Priority Matrix for Outlook. If that's the case, you will need to contact your IT personnel to assist. Alternatively, you can Please contact us and we can do our best to help. 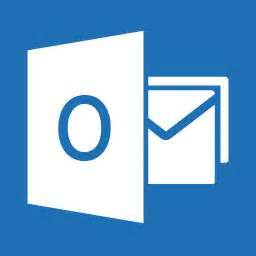 If you don't use Office 365, or if you are still using older versions of Outlook, you can still download the original Priority Matrix for Outlook (on Windows only) from our website. The first time you use the extension you will be asked to sign in, and that's it! If you encounter any issues, please email support@appfluence.com and we will do our best to help!